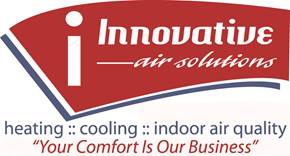 "I have always been happy with the service I have received from Robert, Innovative, and all of the employees. I also like the Carrier brand that is sold by Innovative Solutions better than most competing brands. " "I am out of town a lot and have rental property that needed immediate attention. You have always been able to get to repair in a timely manner. Thank You for taking care of these problems for me .."
"I have used Innovative at work and my home and always had a very good response time. Although we have not completely been able to have you complete the work needed on my mothers home...response time and knowledge have been great! Looking forward to working with Innovative in the future should we have a need. " "Pleased with everything about the job!!! :)"
"Appreciate the service. Quick response. " "Very helpful in explaining problem."